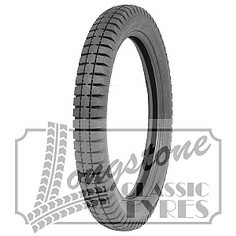 Longstone's 400/450x19 triple block tread tyre has the appearance of period tyres fitted to MGs of the pre-war era. They are the ideal road tyre for MG Midgets and Magnas, right up to the T Type period when the factory then moved on to a more modern tread pattern. Reference is also made below to the 350x19 tyre for those who prefer the more 'spindly' look and Longstone Classic Tyres offer additional sizes and tread patterns which are suitable for Magnette models and also racing to include Excelsior and Ensign brands. 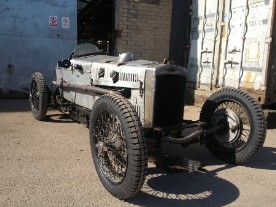 The Longstone period looking tread incorporates a tread depth with excellent longevity whilst the casing is designed to provide progressive handling which is so well suited to small British sports cars of the 1930s, exactly like the pre-war MG should be. The rubber compound is modern and moves water with efficiency whilst at the same time retaining a relatively thin foot print to keep steering light. A truely excellent all round tyre for the MMM car and Vintage MG Parts recommend this Longstone product range. Vintage MG Parts are not the source retailer for these tyres and as purchases will be conducted direct with Longstone Tyres, all prices specified are exclusive of VAT. We are happy for customers to deal direct with Longstone Classic Tyres although please mention 'Vintage MG Parts' to them when ordering. 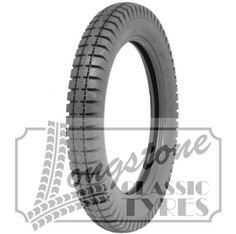 Alternatively, should you wish to make a purchase then we will be pleased to forward enquiries to Longstone Classic Tyres and they will then contact you directly.